Frying fish is one of the oldest and most widely used cooking methods. Not only is frying fish fast, but for many, the flavor and texture makes fried fish taste incredible. That being said, since fish is delicate, it can easily be overcooked, and your fish can become too greasy or leathery. Why? The type of oil you use can have a major impact on the fatty-acid profile of your fish, as well as produce toxic compounds during the frying process. 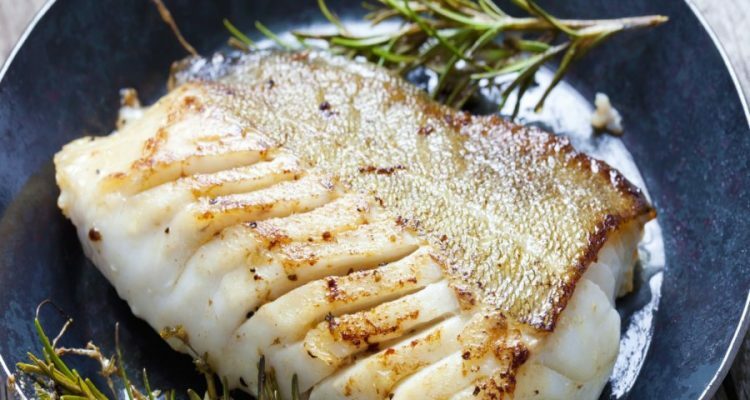 In this article, we will explore the best oil for frying fish, how long to deep-fry fish, and some general tips to help you cook the perfect fried fish. The type of oil you choose for pan-frying fish or deep-frying fish can have a major impact on how the fish fries, and the texture and taste of the fish. When it comes to the best oil for frying fish, the right oil needs to be stable and high in nutrition. The following are two factors to consider when choosing the right oil for deep-frying or pan-frying fish. The smoke point is the temperature at which the oil begins to break down and become harmful to the body. When deep-frying fish, you will want to use oil with a minimum smoke point between 320 degrees Fahrenheit and 356 degrees Fahrenheit. For pan-frying fish, the typical smoke point will be around 248 degrees Fahrenheit. Oils that oxidize too quickly at a high heat will release free radicals, which can lead to various chronic conditions such as heart disease, dementia, and cancer. Since fish is so delicate, you will want to choose oil with a neutral flavor that doesn’t overpower the fish. It is also best that you only fry one type of fish or seafood at a time. This will prevent the flavors from blending together. Frying fish will also impact the flavor when you fry multiple batches of the same fish. What are the best oils for fried fish? The healthier oils for frying fish will include saturated fats and monounsaturated fats, and are stable oils with high smoke points. This is true whether you are deep-drying fish or pan-frying fish, also known as shallow-frying fish. Coconut oil is by far the most stable oil for deep-frying or pan-frying fish. It has a smoke point of 400 degrees Fahrenheit. Interestingly, you could fry coconut oil at 365 degrees Fahrenheit for eight straight hours, and the quality of the coconut oil will still not break down. The saturated fat in coconut oil is responsible for the high stability. Also, since coconut oil has a neutral flavor, the flavor is not impacted as much when frying multiple batches of the same fish. As a result of frying fish with coconut oil, you also get a number of significant health benefits. Research suggests coconut oil is beneficial for Alzheimer’s disease and improving memory, preventing high blood pressure and heart disease, reducing inflammation and arthritis, preventing tooth decay and gum disease, boosting the immune system, and potentially treating and preventing cancer. Clarified butter is produced by heating butter to remove the milk solids and water. Ghee is similar; however, you simmer ghee longer to bring out the nutty flavor of butter. Heating conventional butter at too high a temperature can lead it to burn. However, ghee and clarified butter have higher smoke points than butter. Each has a smoke point of 485 degrees Fahrenheit. As a result, when you use either option for deep-frying fish, you don’t have to worry about burning it. Ghee and clarified butter are both loaded with fat-soluble vitamins, such as vitamin A, vitamin E, and vitamin K. They also contain anti-inflammatory CLA (conjugated linoleic acid) and butyric acid, and are free from potential allergens associated with dairy—lactose and casein. Ghee and clarified butter are also known as beneficial foods for optimal digestion. Avocado oil is more than just a delicious cooking oil with a light and slightly nutty flavor. It is also a monounsaturated fat with a very high smoke point, at 520 degrees Fahrenheit. The monounsaturated fat in avocado oil has a beneficial effect on blood pressure, cholesterol, and overall heart health. The carotenoids in avocado oil can also lower your risk of certain cancers and eye diseases like cataracts and macular degeneration. Should you use olive oil for frying fish? On one hand, it has a high smoke point of 410 degrees Fahrenheit. However, many believe extra-virgin olive oil is more ideal for drizzling over salad than frying. Cooking olive oil is thought to produce advanced glycation end products (AGEs), which help contribute to the decline of the aging process. Some studies show that extra-virgin olive oil is a more stable cooking oil than sunflower oil for frying fish. That being said, frying with olive oil will still have a negative impact on the content of its most important monounsaturated fatty acid, called oleic acid. Olive oil is also high in polyunsaturated fats, which are vulnerable to oxidative damage at high temperatures. Other cooking oils like coconut oil or ghee are considered better options. If you are going to use extra-virgin olive oil for frying, it is recommended to do so on low heat. For instance, you could use it for sautéing shrimp rather than frying cod. When used this way, olive oil benefits the heart and brain, and can prevent mood disorders like depression. What about frying fish with macadamia nut oil? Macadamia nut oil has a high smoke point, at between 410 degrees Fahrenheit and 453 degrees Fahrenheit. As a result, pan-frying or deep-frying fish is thought to be a healthy possibility. Macadamia nut oil is high in monounsaturated fats; therefore, this oil is good for the heart, for reducing cholesterol, and for lowering chronic inflammation. Peanut oil also has a high smoke point at 446 degrees Fahrenheit, and makes this list for best oils for frying fish. Many believe it is the best oil for frying catfish, in particular. Like macadamia nut oil, peanut oil is particularly high in monounsaturated fats. It is also very popular for deep-frying due to its neutral taste. Moreover, it does not absorb the flavor of food, so you can fry different foods at the same time. However, there are some reasons not to use peanut oil for frying fish. Although high in monounsaturated fats, it is also high in polyunsaturated fats. As such, peanut oil is vulnerable to oxidative damage when cooked at high temperatures. Also, cold-pressed or crude peanut oil is not allergen free, and it should be avoided by those susceptible to anaphylaxis. Peanut oil may also be genetically modified, and it is often partially hydrogenated to increase its stability. How long should you fry fish? The recommended frying time for fish will depend on the equipment being used and the size of the fish pieces being fried. The suggested temperature for battered fresh fish is 370 degrees Fahrenheit for three to five minutes per piece. What about when frying frozen fish? For this, consider that suddenly dropping an extremely cold item into burning-hot oil will considerably reduce the oil’s temperature. The resulting effect will depend on the type of frying equipment being used. Also keep in mind that at temperatures above 375 degrees Fahrenheit, the oil will spoil rapidly. Furthermore, when cooking frozen fish at very high temperatures, the batter may cook too quickly and too hard, and the center of the fish may remain uncooked. When the oil’s temperature drops too low due to the frozen fish, fat absorption will also be greater, and this will lead to the fish being soft and greasy. After you decide what oil you will use for frying your fish, you will need to decide how to fry your fish. In this section, we will look at some tips for frying the perfect fish. Prevent a tough fish: Coat your fish in a batter before deep-frying. This can help prevent a tough and leathery texture when exposed to high heat too quickly. The batter is also able to protect the fish from hot oil and seal moisture inside the fish. As a result, your fish is perfectly cooked and moist. Cook at the perfect temperature: Your fish will burn if the temperature is set too high. However, if the temperature is too low, you risk the batter absorbing too much oil and then tasting too greasy. Your ideal temperature for frying fish will range from 360 degrees Fahrenheit to 380 degrees Fahrenheit. Prevent the deep fryer from cooling down: When you plan to cook multiple batches of fish, set your deep fryer to the right temperature. To prevent the fryer from cooling down, set it to a higher temperature. Deep-frying and pan-frying are staple cooking methods of the fast-food industry, and they’re certainly not the healthiest. That being said, it often comes down to the type of oil you use and how you use it. In this article, we examined the best oil for frying fish. Choosing the right oil will depend on the smoke point and flavor, since fish is very delicate. This is true whether you are deep-frying or pan-frying (shallow-frying) your fish. What are the best oils for frying fish? The best oils for pan frying fish include coconut oil, clarified butter or ghee, avocado oil, and macadamia nut oil. Although extra-virgin olive oil and peanut oil can be used for frying fish, they are also high in polyunsaturated fats. As a result, these oils may also become damaged at high temperatures. It is also important to note that consumption of deep-fried or pan-fried foods should be limited, since these foods still add unhealthy calories and are linked to weight gain and obesity. What oils should be avoided for frying altogether? This list includes cottonseed oil, soybean oil, corn oil, canola oil, safflower oil, sunflower oil, sesame oil, grape seed oil, and rice bran oil. Although some of these oils have a high smoke point, the argument against their use is due to their high polyunsaturated fat content and overall poor quality. One Fish, Two Fish: Which Fish is Best? “Modifying Lipids for Use in Food,” elsevier.com; https://www.elsevier.com/books/modifying-lipids-for-use-in-food/gunstone/978-1-85573-971-0, last accessed May 22, 2018. “Frying,” elsevier.com; https://www.elsevier.com/books/frying/rossell/978-1-85573-556-9, last accessed May 22, 2018. “Why You Should Be Using Macadamia Oil in Your Cooking,” Australian Macadamias, Feb. 9, 2017; https://www.australian-macadamias.org/consumer/our-nut-hub/blog/why-you-should-be-using-macadamia-oil-in-your-cooking, last accessed May 22, 2018. Barrett, P., “Are you cooking with the right oil?” Good Food, June 16, 2016; https://www.goodfood.com.au/good-health/are-you-cooking-with-the-right-oil-20150708-gi1agi, last accessed May 22, 2018. “Chemistry of Deep‐Fat Frying Oils,” Journal of Food Science, May 2007; https://onlinelibrary.wiley.com/doi/full/10.1111/j.1750-3841.2007.00352.x, last accessed May 22, 2018. “Thermal degradation of groundnut oil during continuous and intermittent frying,” Journal of Food Science , July 2011; https://www.ncbi.nlm.nih.gov/pmc/articles/PMC3791227/, last accessed May 22, 2018. “Frying Guidelines,” National Edible Oil Distributors Association; http://www.neoda.org.uk/resources/documents/Information-Downloads/frying%20guidelines%202013.pdf, last accessed May 22, 2018.